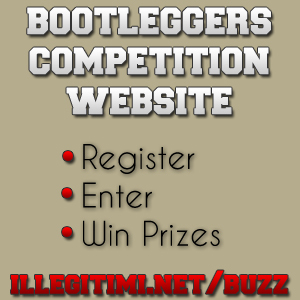 Welcome to issue #15 of the Bootleggers Buzz! The issue of today is another evening paper, instead of the morning paper Poison aspires the Buzz to be. This is due to the fact that not Poison but me, Mika, is doing the publishing. Our beloved Editor had money he wished to earn and asked me to take care of releasing the paper many of you like to read on your Sundays. My schedule did not allow for an earlier release, and so you will be able to read this paper during your evening coffee instead of over breakfast. It is a happening I trust you will recover from. Either way, on with the show, and these Editor Notes for that matter. It has been quite a while since I published the Buzz so I hope the looks and these notes are in order. Although I trust that they are. Just like every week, the Buzz team did its best to cover the news of the week. They have covered the attack on Event Horizon, which eventually resulted in the crew's unfortunate drop off the statistics (although caused by another crew than the original attackers, if I kept track correctly) and they have also caught an interview with the winner of the Buzz contest. As every other week, our Head Administrator has also submitted his bi-weekly column to inform you about what is going on behind the scenes. Following the missions that were released last week both BSF2000 and our own Buzz columnist FlameS discuss them in their articles. The latter contacted several players to find out how they felt about the missions. Finally, Afty has ripped another TV show for his article, powerbear had yet another set of random questions which he asked the players, and the before-mentioned powerbear also looked into the concept of a Bootleggers conference to see if it is something that would be worth considering. Of course we also have our weekly articles: the Obituaries and Bootleggers Game Statistics. In the freelance section, we have another comic stored for you. As always, the Buzz is looking for writers to strengthen our happy family. If you like keeping track of what happens in the game, like writing and would like to become a member of the team then submit an application on a game-related topic of your own choosing as a freelance article and you may find your own name stamped on an article next week. For now this is it for me. I hope you have enjoyed these Editor Notes and that you will enjoy the articles below even more. Next week, Poison will no doubt be back with what will hopefully be a morning issue. ShyGuy reveals the winner of last weeks contest, and an interesting fact about how you all responded! BSF2000 returns with his bi-weekly column. This week, he reflects on the updates and gives us a little bit more information on the status of what is to come. A Bootleggers Convention? Would it work? powerbear discusses the idea. powerbear tells you the answers to a few more of his harmless questions. Event Horizon were attacked again this week, ShyGuy brings us the story. Following the release of the new batch of missions, Buzz Writer FlameS contacted some players to gather their opinion on the quality of them. Afty continues his TV Rip Offs. Any applications can be submitted as a freelance article. You are free to cover any Bootleggers-related topic you wish. RatFaceRay... err... does his thing. The statistics of the game for this week, compared to those of last week.